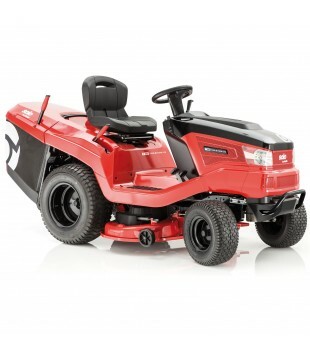 Easy and fun to use, the Mountfield 1328H is an ideal ride-on mower for smaller areas. 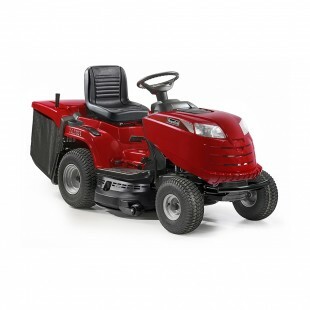 Powered by the Mountfield 7250 414cc engine and a hydrostatic transmission, it is as easy to drive as an automatic car. Simply press gear lever to move forward, the further you push the faster your speed. To reverse, pull the lever. You have ulitmate control, even when manoeuvring in and out of tight spots. The 72cm (28″) working width cutter deck features a safety brake and has 7 heights of cut, from 30mm-80mm. 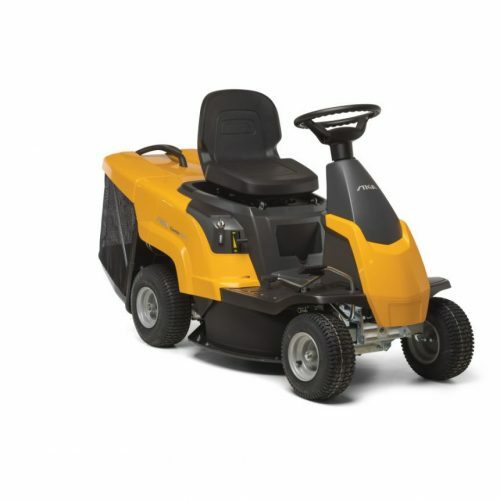 Clippings are discharged cleanly and efficiently into a rear-mounted 170 litre capacity collector, which can be emptied from the driving seat. A mulching kit is also available so that when conditions are suitable, you can eliminate grass collection and recycle the clippings, which will save you time and return valuable nutrients to the soil. Equipped with Stiga’s soft-grip steering wheel and new comfort seat, making a smooth ride in the garden. 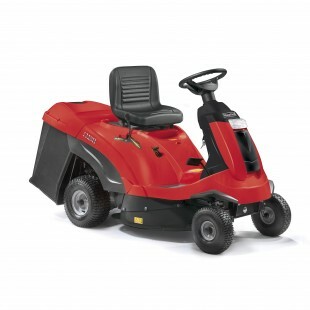 Covered by a 2 year manufacturer’s warranty, the Mountfield 1328H is suitable for smaller gardens up to approximately 1 acre.